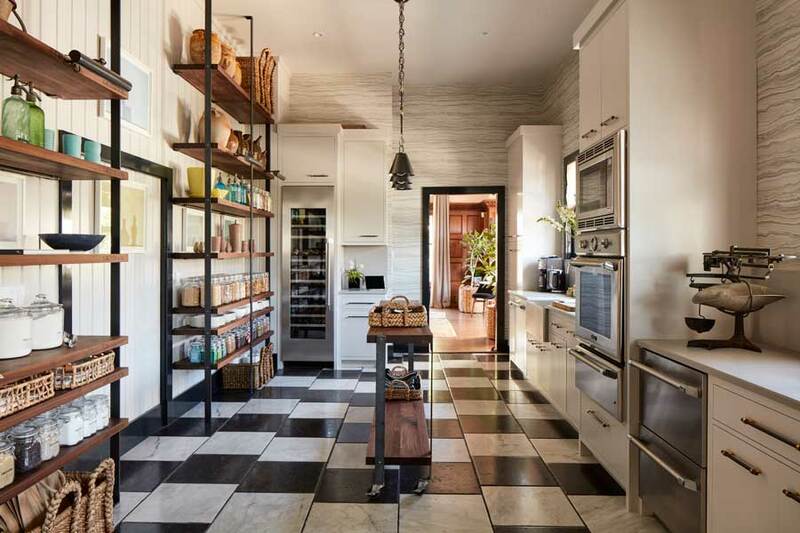 House Beautiful is celebrating its tenth annual Kitchen of the Year 2017 at the San Francisco Decorator Showcase in the Pacific Heights neighborhood of San Francisco, California. This year’s 625-square-foot kitchen was designed by Jon de la Cruz of DLC-ID. This being a 1904 historic home, the kitchen features amazing architectural details: 12-foot ceilings, open pantry shelves, a beautiful mix of new and old materials and many windows. 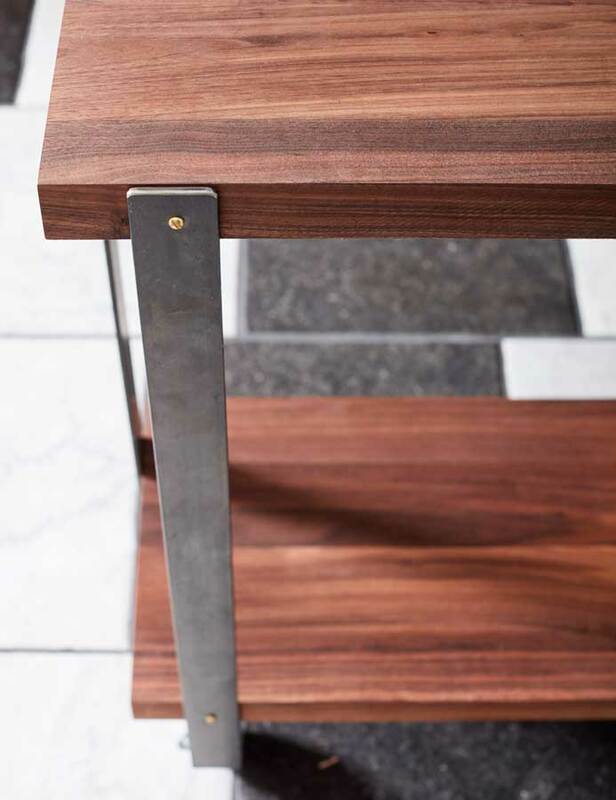 For the kitchen, de la Cruz focused on beautiful functionality by combining his expertise in cooking with his deep knowledge of design history. The space features multiple stations for cooking, baking, breakfast and family dining — as well as innovative storage and display ideas. This was a necessity for the family of 10 that live in this home. 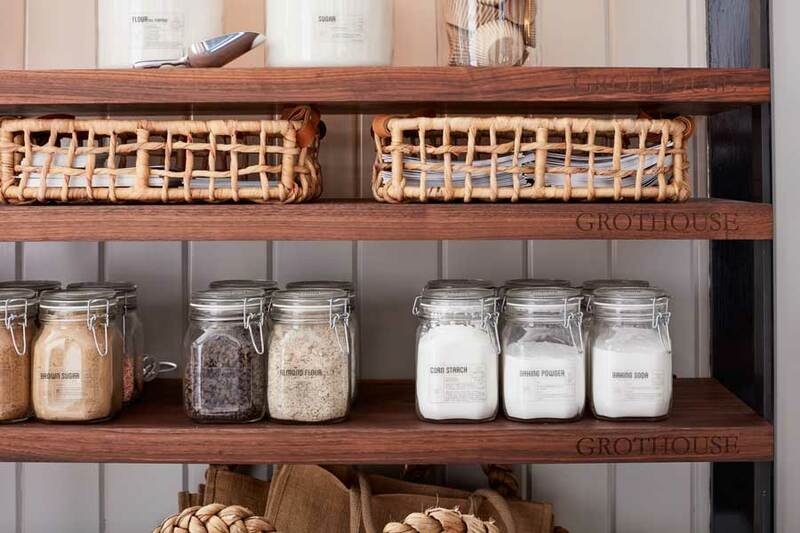 Featured in the breakfast nook are vertical ceiling-high, open pantry shelves made of American Black Walnut Wood crafted by Grothouse. 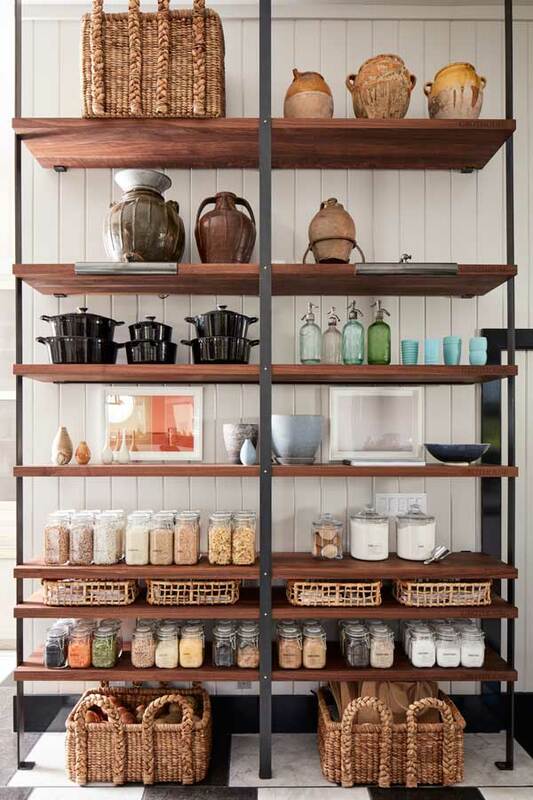 The Black Walnut Wood Shelves capture the ethos of timeless elegance, serving as a dramatic accent for custom labeled jars and superb pantry organization by Blisshaus – also referred to as The Pantry Detox. Taking customization even further, the shelves feature laser engraving on the front. Jon de la Cruz’s favorite part of the kitchen is the s’mores section, and we happen to agree! This dream space was unveiled on April 29, 2017 and was open to the public until May 29, 2017. Click here to take a tour of the kitchen with Jon de la Cruz and House Beautiful’s Editor in Chief Sophie Donelson. Be sure to pick up the October issue of House Beautiful to see the full kitchen. Join us on Instagram to see more of House Beautiful’s Kitchen of the Year 2017 and the San Francisco Decorator Showcase home via #HBKOTY and #sfshowcase. This entry was posted in Custom Wood Surfaces, walnut countertops, wood countertop options, Wood Countertops, wood surfaces, Wooden Surfaces and tagged Engraved wood countertops, Interior Decorating Wood Countertops, Interior Design, Kitchens, wood shelves, wood surfaces by Denise Grothouse. Bookmark the permalink.